Your grandmother did it, and now its completely back in style: Filter coffee is celebrating its renaissance. With Coffee Passion you too can brew really good coffee like a barista - modern and yet following old traditions. 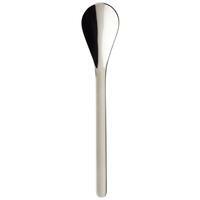 Dose the coffee grounds using this practical spoon. The double-walled filter of high-quality premium porcelain delivers full aroma into the cup thanks to the spiral ridges. The shape of the cup has a big influence on the crema. Coffee Passion cups have the ideal shape and a rounded bottom inside. That allows the crema to develop and gives it a distinctly velvety texture. 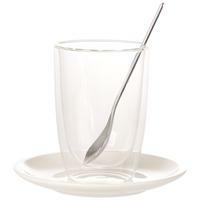 Add a sweet little something, served on porcelain or clear borosilicate, to perfect your coffee pleasure. Discover Coffee Passion - the collection for coffee aficionados. Whether you sip alone or with friends, Coffee Passion has just the right thing for those coffee moments. 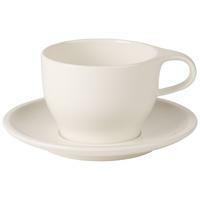 Made of premium porcelain, dishes in the set can go in the dishwasher or microwave. 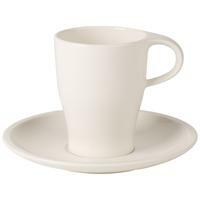 Cleverly designed, cups and saucers fit under all common coffee machines and can be stacked to save space. Treat yourself to coffee the way you deserve: with Coffee Passion.